NinjaScript Indicator Programming Tutorial, now for Version 8! NinjaScript Programmer's Launch Pad V8 is here! It now teaches NinjaTrader® 8 programming rules, and the eBook has been expanded to nearly three times its former size. Also included is a new Trade Setup Entry Indicator framework and sample that you can can take to the next level! Read the first 15% FREE at Smashwords.com. The NinjaScript Programmer's Launch Pad V8 is a tutorial designed for programmers new to the NinjaScript programming environment for NinjaTrader 8. It begins by providing the new NinjaScript programmer with a clear understanding of the underlying structure, data, key classes, and efficient programming techniques for writing NinjaScript indicators. This same foundation of knowledge is necessary for creating automation strategies in NinjaScript, although automated strategies are outside the scope of the book. The Launch Pad can shave days off the learning curve, and is an excellent supplement to NinjaTrader's own excellent documentation. 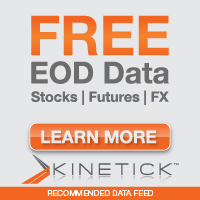 Since NinjaTrader's documentation and support forum is so good, why use a tutorial? Simply because many of us benefit from a "yellow brick road" approach to learning—something that starts at the beginning and has a clear path to guide you along the way. Once you have established a strong foundation of knowledge, building on it becomes very easy. The Launch Pad is designed to help you build that foundation quickly. Let the Launch Pad be your guiding hand. Scott Daggett is a long-time software developer and IT manager with a keen interest in technical analysis of the financial markets. In addition to writing software on more platforms and in more languages than he can remember, he has studied trading for years and enjoys writing indicators for trading platforms. NinjaScript Programmer's Launch Pad was selected by the NinjaScript Technical Support team at NinjaTrader® to train existing Tech Support members on how to troubleshoot NinjaScript related inquiries. 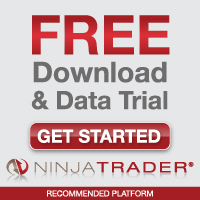 If it works for NinjaTrader®, it might just work for you!